St. Mary's Medical Center has been serving the medical needs of children for more than 70 years and in 2004 opened the only dedicated children's hospital between Orlando and Fort Lauderdale. Today, the staff of the Children's Hospital at St. Mary's is committed to continuing our faith-based heritage in meeting the medical and healthcare needs of all children. 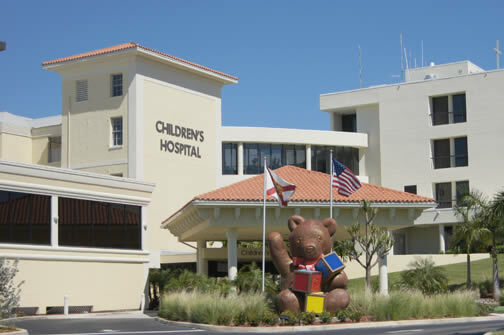 In the Palm Beaches and the Treasure Coast, there's only one hospital devoted exclusively to children and their unique needs: The Children's Hospital at St. Mary's Medical Center.